If you are a pitcher, there are a few mechanical “must do’s” to ensure your success. This is certainly one of them! Many of you know by now that throwing a baseball is a sideways exercise or activity to foot strike. That means you don’t begin rotation until just before the front foot (landing leg) hits the ground. That being said, what do you rotate first? The hips of course. Take a look at Nolan Ryan here! Hips before upper body. Many pitchers have the tendency to pull their front glove elbow early, causing them to use more upper body strength rather than legs and hips. Doing this gives the pitcher a lot less torque in their delivery which in turn decreases velocity.Another thing many pitchers struggle with mechanically is leaning with their front side shoulder. This too weakens the throw because it eliminates torque. 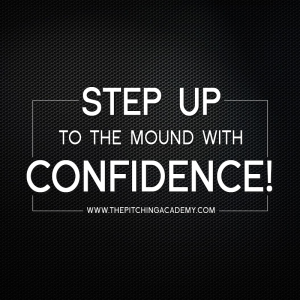 To correct this problem, pitchers should keep their head over their center of gravity, belly button; to foot strike. When done correctly their is a great hip to core connection and pitchers will increase velocity because they are using more of their body to throw the ball. As this season quickly approaches, now is the time to fine-tune your mechanics. We recommend grabbing our best selling baseball series before its too late. It will teach you all you need to know about velocity, control and how to throw those nasty pitches. Pick yours up now!